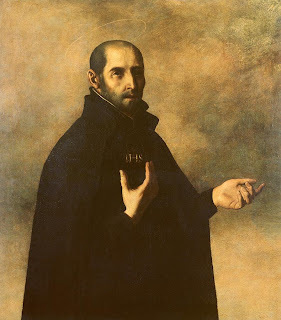 As we are encouraged to share with others what we find to be a treasure for ourselves, I would like to share with you something that I find to be a great treasure that I have received from St. Ignatius: the rules for the discernment of spirits. In the Spiritual Exercises, St. Ignatius gives the retreatant two sets of rules for the discernment of spirits. I am here referring to the first set of rules for the first week of the Spiritual Exercises (nos. 313–327). Okay. So we hear that St. Ignatius’ contribution to the understanding of the discernment of spirits is a big deal, but what is it exactly? Firstly, it is important to understand what St. Ignatius means by discernment. The word discernment comes from the Latin discernere, which means literally ‘to distinguish, to separate’. But what are we discerning, what are we distinguishing and separating? As the title of the rules tells us, we are discerning the different spirits that are at work within us. When St. Ignatius was convalescing at Loyola after being injured at war, he daydreamed about chivalrous deeds he would perform to please a certain woman in the Spanish royal court; he also daydreamed about imitating Christ and the saints. He realized that after pondering worldly glory and pleasures, he felt moments of dryness, discontent, uneasiness. On the other hand, after pondering actions done for the sake of Christ, he felt uplifted, energized, content for long periods of time. 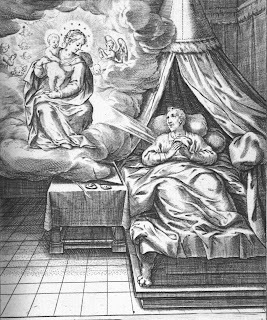 Upon noticing these different reactions and interior stirrings, St. Ignatius realized that different spirits affected his soul. Some, after having accepted their promptings, led to a feeling of spiritual desolation – interior darkness, confusion, a troubled state of mind – while others, upon taking up their promptings, led to spiritual consolation. He quickly recognized that those spirit leading to spiritual consolations was the Holy Spirit, the good angels, and anything else that brought him closer to God (his friends, the books he read, etc. ), while it is the evil spirits who would lead one to spiritual desolation, “the father of lies”, or “the enemy of our human nature”. It is interesting to note that the enemy of our human nature for St. Ignatius, as the spiritual writer Jules Toner and Timothy Gallagher point out, is not only the evil spirit but can also be the influence of bad friends, our own fallen nature, concupiscence, or the negative influence of society. St. Ignatius gives us 14 rules in the first set: the first four are instructive; they shed light on the nature of interior spiritual movements and spiritual consolations and desolations, while the remaining are helpful pointers regarding how to counter spiritual desolation when it comes. It is impossible to delve into all of these rules in this short entry, but I would like to point out the backbone of spiritual discernment, as St. Ignatius gives us in the introduction to the 14 rules: be aware of the interior movements that you are experiencing, understand them – their source, their nature, either the good or bad spirit – and act accordingly, meaning to accept those promptings from the good spirit and reject those from the evil spirit. It sounds simple, but it is not so easy. In this day and age in which we are bombarded by all sorts of stimuli, we often have problems going within ourselves, or in other words, examining the interior movements that happen within us. My suggestion is to pay attention to the interior movements that you experience. With time you will get good at identifying their source, and ultimately rejecting those that lead to spiritual desolation. Happy discerning! Thanks so much for this. Very helpful. I am reading Fr. David Stanley's amazing book A Modern Scriptural Approach to the Spiritual Exercises. Your post here will help me gain more from that book. Glad to hear that the post was of some help. What really got me excited about the rules for the discernment of Spirits was Fr. Tim Gallagher's book 'The Discernment of Spirits' - it's really the only one that I'm familiar with. If you want to go in depth in the study of the rules, I suggest this book; he combines good theological interpretation with helpful real-life cases for each rule. Essentially you see each rule in action - it's really incredible the way the book is written. Highly recommended.